The first record of Dyghbath can be traced back to 1533, when the area was Birmingham’s first industrial district, and the high street was the main thoroughfare for trading visitors from neighbouring towns to the east. Then, after the industry packed up and left, the neighbourhood went with it, leaving it undesirable and unused, save for sparse garages, empty warehouses and construction. 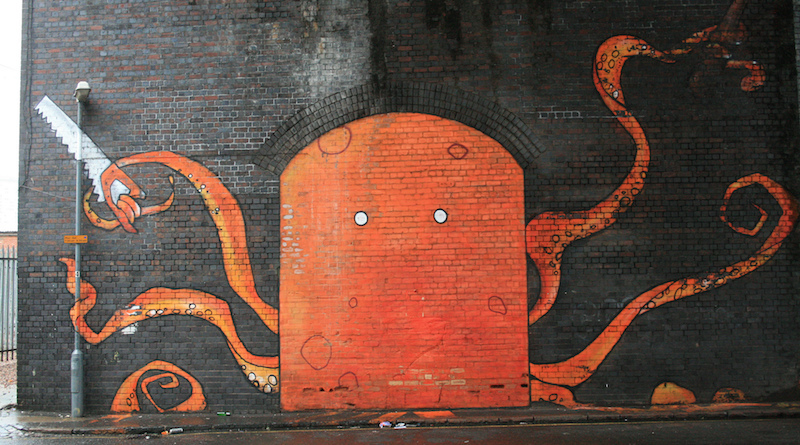 The new millennium brought change to Digbeth and Deritend – which are now seen as an amalgamation of the same place. Apartments were built in the shells of old warehouses and factories, later bringing residents to call the neighbourhood ‘home’. The process really began in 2006, and just over ten years later, the district’s fortunes have reversed. Formally known for being gritty, unsavoury and dodgy, it is indeed true that the rustic character of the area has stayed-put, but investment has brought a hive of activity back here. There is a juxtaposition of old railway viaducts and warehouses buddying-up with hipster nightclubs, food and culture hotspots, as well as graffitied walls and new accommodation popping up on every corner. 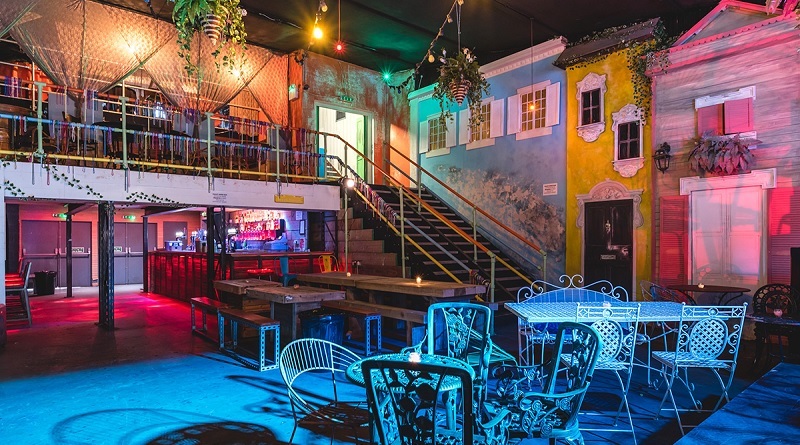 Nightlife has its own unique stamp on the city, thanks to venues such as Mama Roux’s, Spotlight, Lab11, The Monastery and The Night Owl nestled between railway arches, in old churches and disused warehouses, making Digbeth home for party-goers. They complement the old-school heavyweight boozers The Spotted Dog, The Old Crown, Anchor Inn and The White Swan which have withstood the development around them, with Dig Brew Co and Clink leading the way in craft beer. Things to do, such as Ghetto Golf and the Mockingbird Cinema are wonderful ways to keep busy, both of which lead the way by doing something a little different. Both of these back onto The Custard Factory, an innovative hub of independent businesses (from technology to fashion), eateries, galleries and many other niche places you didn’t even know you needed. 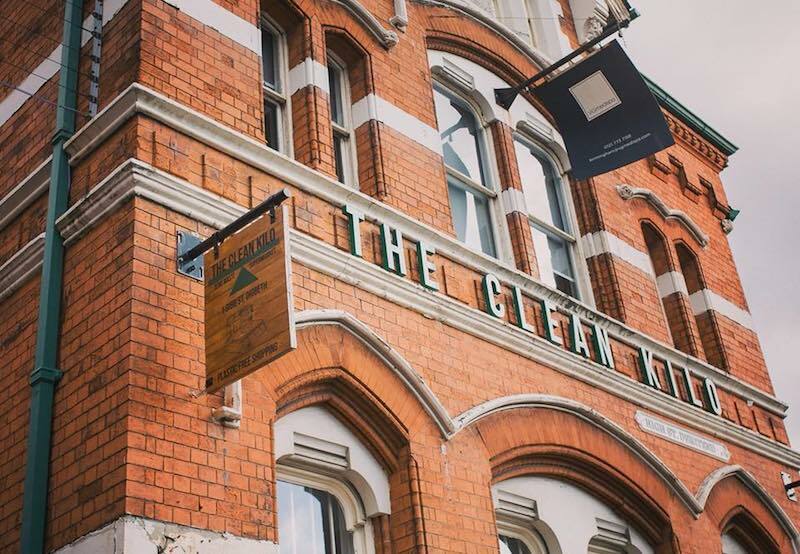 In itself, The Custard Factory is an attraction that is quite literally on the map – with artfully painted architecture, charming decor (think: string lights and fountains) and redbrick grandeur being the shell in which its many businesses are housed. Specialist cafes Kanteen and Yumm bring an electric taste, along with Baked In Brick, the newest pizza making kid on the block. If you’re looking for a movement at the forefront of the recent Digbeth revolution, look no further than Digbeth Dining Club. Starting out with humble beginnings of a few stalls in a Digbeth car park, this street food market is now a fully-fledged food and drink destination on Thursday, Friday and Saturdays. Local and nationwide traders are on hand to serve up experimental cuisine and some of the best drinks that Birmingham has to offer, so be sure to arrive very hungry. Music is celebrated and loved in this part of town. The O2 Institute has been regularly hosting local and touring acts since 2005, though its history stems far beyond that as a jazz club, film location, nightclub, church and Civic Centre. Before this, The Connaught (Irish) Centre hosted pop acts in their infancy (with the likes of Kate Nash, The Ting Tings and even Gorillaz playing live sets there in recent times). Recently opened in its new guise, The Mill aims to bring a blend of international bands, world class DJs and local talent and its rooftop garden is stunning too. Alongside the mainstays of live music, traditional folk and jazz music can be heard emitting from the Spotted Dog, and reggae delicacies blare from the Old Crown. If you’re looking to get into music education, you can even study it at BIMM. 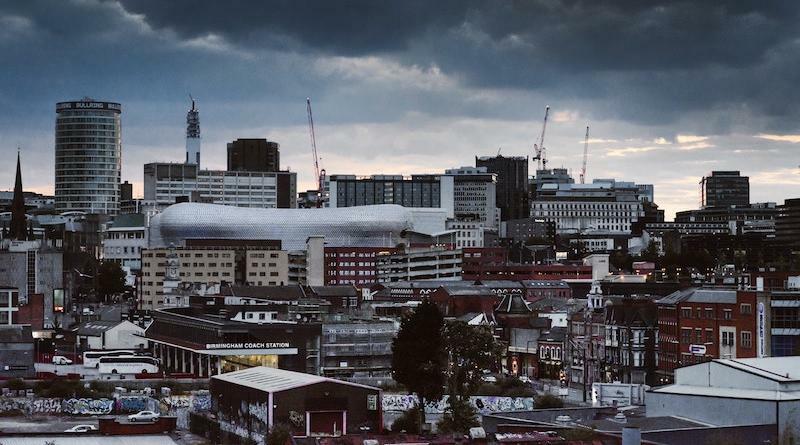 Unlike before, Digbeth is a destination to visit for a day. Whether this is for a morning sampling your favourite coffee and cake, shopping throughout the day to stock-up on vintage skate-wear, DJing equipment, retro outfits in COW, or filling empty jam jars at the UK’s largest zero waste supermarket The Clean Kilo, this area is firmly on the up – and it shows no signs of slowing down either. Midland Metro aims to extend its burgeoning tram network straight through the heart of Digbeth High Street, aiming to attract visitors from Grand Central and even the airport. This will wonderfully show off the excellent things the area has to show, even if some of them aren’t particularly ostentatious and require a bit of ‘digging’ around. That’s the fun of it. You don’t quite know what you’ll find. 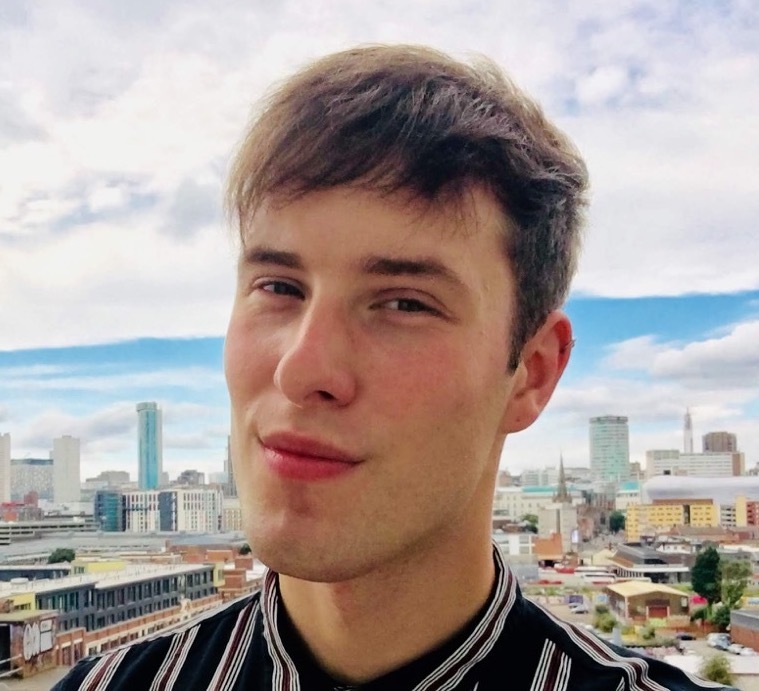 Gig and album reviewer + culture writer, celebrating the best of music and events happening throughout our city.